collectives that allow those with cultivation expertise to help other patients obtain medicine. In most cases, particularly in urban settings, that has meant the establishment of medical cannabis dispensing collectives, or dispensaries. These dispensaries are typically organized and run by groups of patients and their caregivers in a collective model of patient- directed health care that is becoming a model for the delivery of other health services. 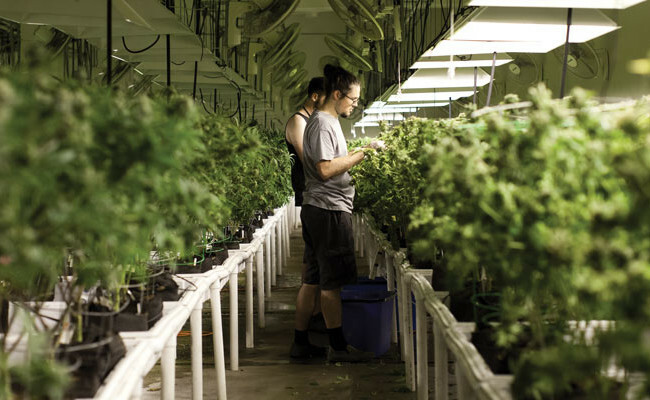 While some patients with long-term illnesses or injuries have the time, space, and skill to cultivate their own cannabis, the majority in the state, particularly those in urban settings, do not have the ability to provide for themselves. For those patients, dispensaries are the only option for safe and legal access. This is all the more true for those individuals who are suffering from a sudden, acute injury or illness. Many of the most serious and debilitating injuries and illnesses require immediate relief. A cancer patient, for instance, who has just begun chemotherapy will typically need immediate access for help with nausea, which is why a Harvard study found that 45% of oncologists were already recommending cannabis to their patients, even before it had been made legal in any state. It is unreason- able to exclude those patients most in need simply because they are incapable of gardening or cannot wait months for relief.